Tamra Judge’s Daughter-in-Law Sarah Rodriguez Explains Ava Ryan’s Kidney Condition – RHOC Medical Mystery Solved! “The Real Housewives of Orange County” Tamra Judge’s daughter-in-law is livid! Sarah Rodriguez explained – in detail – Ava Ryan’s kidney condition in an exclusive interview with Real Mr. Housewife. Nephrologist Dr. F. Perry Wilson – who is an assistant professor of nephrology at Yale School of Medicine – has no clue what he’s talking about! But who is this doctor and what is he discussing that has Sarah so upset? Here’s what Sarah had to say about Dr. Wilson’s esteemed professional opinion: During the ultrasound at the halfway point in Rodriguez’s pregnancy, the doctor noticed a mass on Ava’s left kidney. Sarah’s doctor couldn’t be certain what might be wrong with the baby’s kidney and referred Tamra Judge’s daughter-in-law to a perinatal specialist. The specialist monitored the baby girl’s progress, checking her kidney development every four weeks. At first, it seemed as if the kidney was growing and the mass was shrinking – and the specialist was certain the mass wasn’t a tumor. It wasn’t until Ava was born that doctors were able to get a better idea of what was wrong. 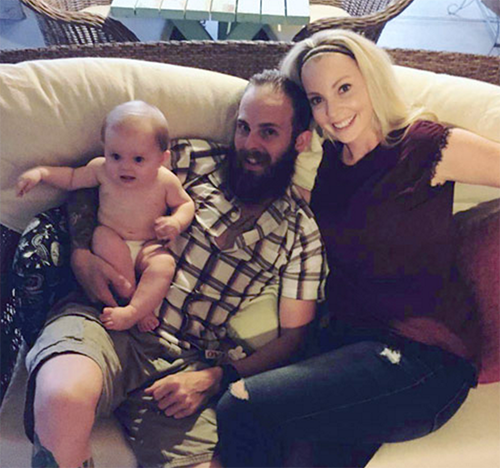 An ultrasound following the baby’s birth showed that the left kidney was not traceable – which lead Sarah and Tamra’s son Ryan Vieth to believe Ava had no kidney. Ryan and Sarah moved to Southern California and in November 2015 Ava was seen by Dr. Nguyen at the Choc Children’s Hospital nephrology unit. Another ultrasound was performed and Ava was diagnosed with multi cystic dysplastic kidney. What does that mean? Ava didn’t have a functioning left kidney – it had disintegrated into tissue. There you have it! A very detailed explanation of little Ava’s kidney diagnosis from her Mommy. By the way, Sarah tried to reach the doctor quoted in the article but – surprise – Dr. Wilson didn’t respond. Tamra Barney Blames Ex-Husband For Turning Daughter Against Her: Fires Back, Calls RHOC Star Emotional Vampire! Tamra Barney Fired Update: Real Housewives Of Orange County Avoids Being Dropped – Why Did Bravo Keep Her? Tamra Barney Not Fired – Returning To RHOC Season 10 As A Victim! Tamra Barney Real Housewives Of Orange Country Star Accused Of Faking Religious Storyline – Her Spiritual Journey’s A Sham! Tamra Barney Spiritual Journey & Baptism On Real Housewives Of Orange County: Publicity Stunt To Keep Job?